What to do on a cold, rainy, miserable day in the woods? Something a bit different and probably not everyone's cup of tea...but...it did turn out somewhat "blairwitchy"
This is very cool. Viewing on dark bg is a must. It's definitely my cup of tea. Very cool- love the dark mood and the beautiful blues-a nice sense of "rainy-ness" . Probably not a word... . But the vertical blur is very expressive. 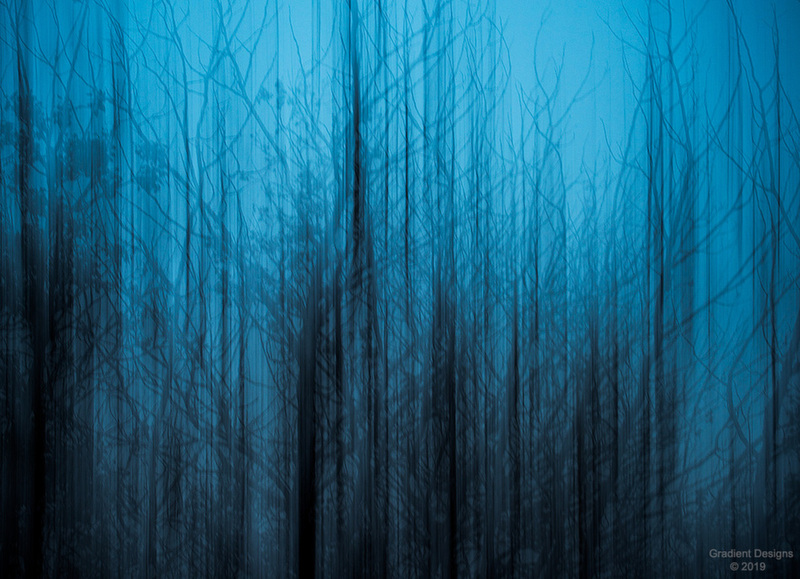 The colour, gloom and ghostly trees all come together beautifully here, John! Spooky John, I can almost see this wrapped around a book cover for a Stephen King novel.